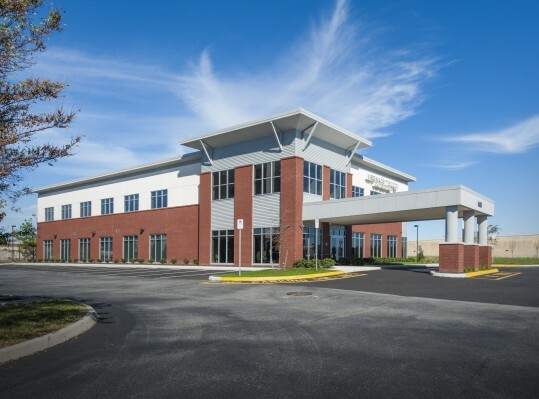 Virginia Dermatology and Skin Cancer Center (VDSCC) occupies the entire first floor of this two-story medical building. 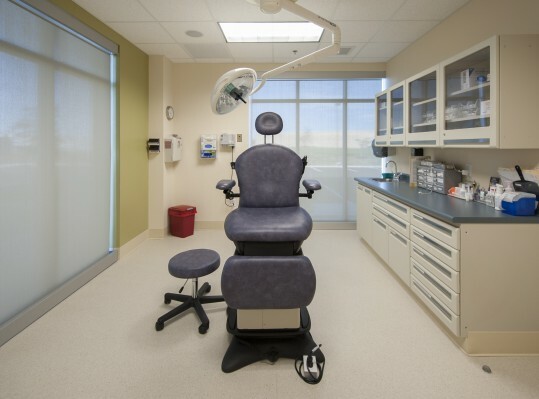 Specializing in Mohs micrographic surgery, this state-of-the-art office features four designated Mohs surgical procedure rooms and a private waiting area as well as a spacious reception/waiting area with restrooms conveniently located for client accessibility. 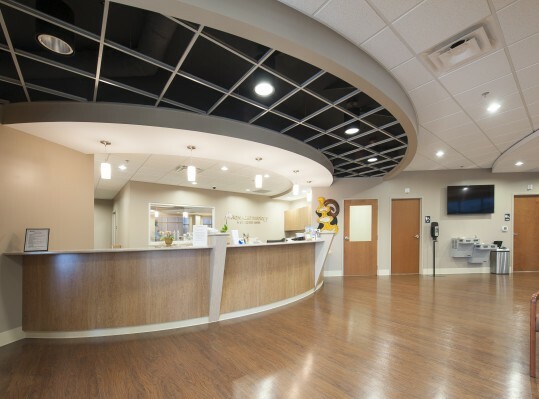 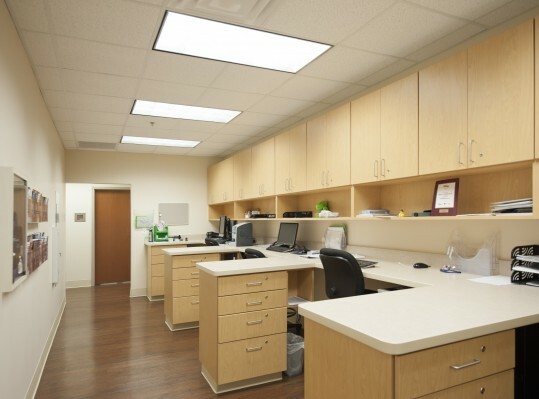 Behind the six-person reception desk are offices for the Office Manager and Clinical Manager, four provider staff offices and six work stations for Medical Assistants as well as six exam rooms. 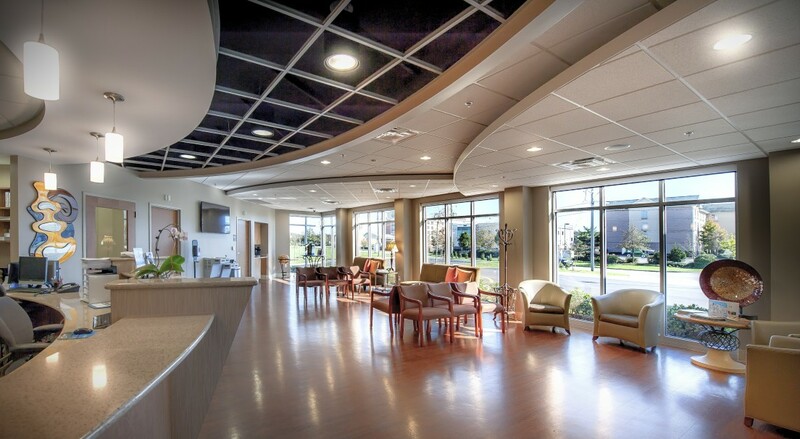 The VDSCC Day Spa occupies the majority of the second floor. 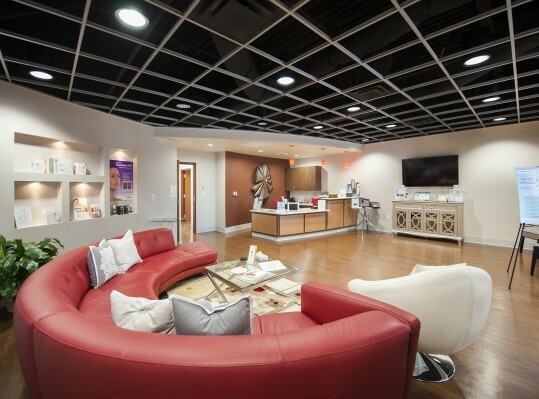 This upscale Spa is a continuation of VDSCC’s skin cancer treatment and prevention philosophy and offers treatments such as medical grade facials and microdermabrasion. 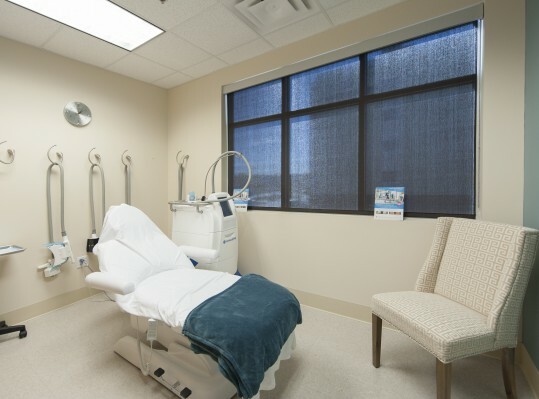 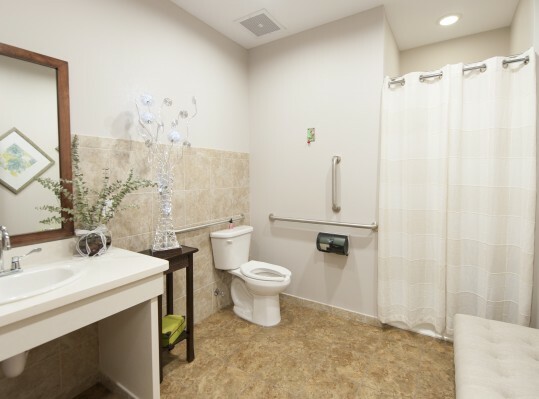 The Spa has a spacious reception/waiting area with a custom product display area, a consultation room, four cosmetic treatment rooms, a full client restroom with a shower and a staff restroom. 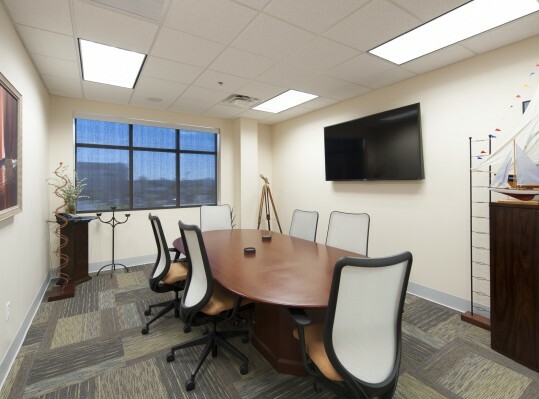 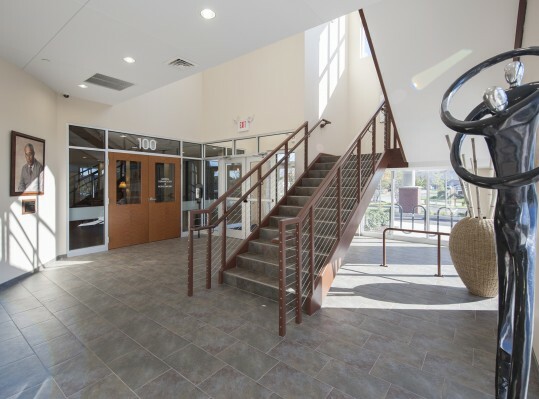 Amenities for the entire VDSCC staff are located on the second floor and include a conference room for training and meetings and a staff kitchen/break room.